Hidden Gems Productions are a new Theatre collaborative by established regional artists Amanda Huxtable and Marcia Layne. 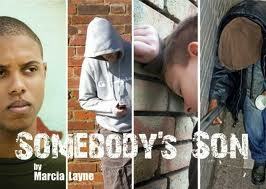 Somebody’s Son is the second production of this new Theatre company. This coming of age drama with a cast of eight will tour regional venues in Huddersfield, Sheffield, Bradford, Leeds and Salford. This is a fractured tale of absence and regret told through moving music, startling images and visual wonder. Toujours et Près de Moi is a world premiere and the first UK production from critically acclaimed international performance company Opera Erratica. Live physical theatre, Victorian theatrical illusion and the latest video technology combine to create a dislocated performance space in which puppet-sized holograms interact with their live, life-sized selves. Meanwhile, Renaissance madrigals by Carlo Gesualdo are mixed with startling contemporary vocal pieces by Salvatore Sciarrino, Christopher Fox and James Weeks, adding to the sense of past/present dislocation. Toujours et Près de Moi promises audiences a challenging and haunting new theatrical experience exploring presence and absence, memory and loss, connection and separation. The production runs Monday 14 May – Saturday 26 May. You are currently browsing the Fringe Report blog archives for the day Wednesday, April 25th, 2012.